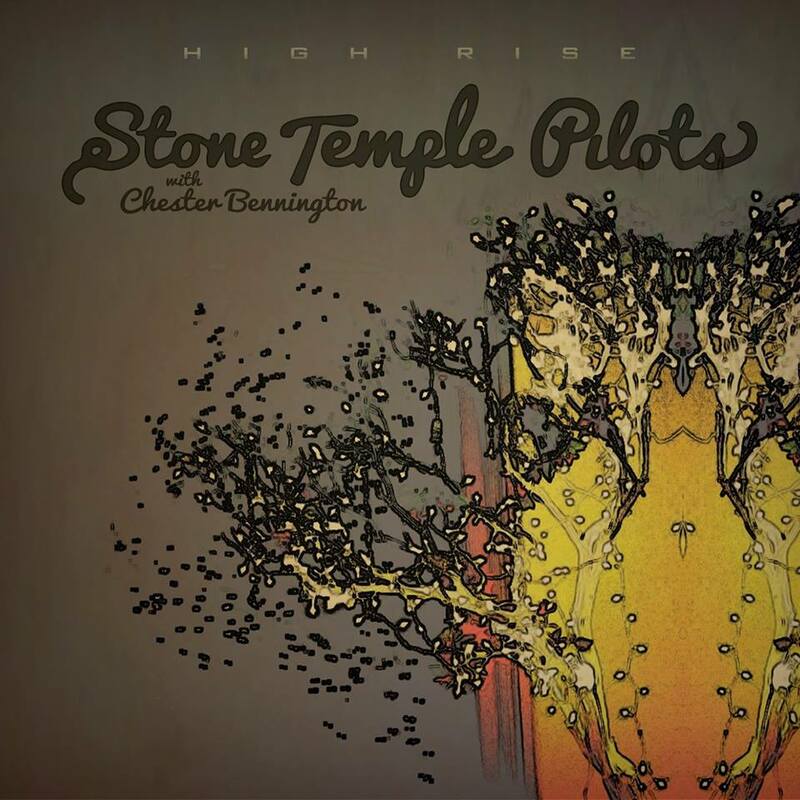 With the messy legal war raging on with their former lead singer Scott Weiland (who insists he is still a member of the group and will have to be bought out, not fired), STP decided to release some new music as “Stone Temple Pilots with Chester Bennington” after bringing the Linkin Park singer into the band. Smart move. When the band released the first single, “Out of Time”, I was pleasantly surprised. I wasn’t sure how Chester would fit in with STP but he does so perfectly. The band hasn’t changed their style at all, they are still STP, and it seems like maybe Bennington is getting to show a different vocal side than what he does in Linkin Park. I have new respect for him as a singer. He’s not a Weiland clone, but he’s singing these songs in the same way that I imagine Weiland would. The second single, “Black Heart”, is almost as good as the first and “Same On The Inside” is another great tune. “Out of Time” definitely compares well with anything from the band’s 2010 self-titled release and the rest of the songs here are enjoyable. I have no doubt that Weiland will once again rejoin STP. There probably is not much of a future for either side without one another. Linkin Park takes priority over STP and when Bennington eventually gets busy recording & touring with his own band, I’m sure there will be yet another STP reunion. In the meantime, I wouldn’t be surprised to see Weiland hook back up with Velvet Revolver (it’s been 5 years and VR still hasn’t found a new lead singer). Regardless, creatively-speaking, there is life in this band after Weiland. They haven’t lost a step even if they’ve lost their original lead singer. I’d love for this version of the group to get another EP or a full-length album out sometime next year. After a five-year layoff (during which Scott Weiland famously was the lead singer for Velvet Revolver) and nine years after the disappointing Shangri-La Dee Da, STP is back at it again. For some reason, this band has always struck a chord with me and has been a favorite of mine from the “alternative scene”. Maybe that’s because in the face of the exploding grunge/alternative scene they always had more in common with ’70s glam and hard rock acts than their own contemporaries. They definitely had more variety when it came to their albums and this self-titled release is no different. Another huge plus for the band is Scott Weiland. The guy can sing a variety of styles. You want the typical grungy mumbling vocalist? He can do it. You want Bowie-esque or Beatles-esque vocals? He can do it. You want him to sing soft and pretty or light and poppy or get down with some heavy metal? He can do all that too. He’s a really underrated singer just on variety alone. Much to my delight, this album blows away 2001’s Shangri-La Dee Da and is right up their with the rest of their exceptional albums. I wasn’t sure if the band could do it, but they did. I instantly tore into this CD and listened to it the whole way through four times within the first 24 hours of owning it. It’s that good. This album is STP in their element doing what they do best: hard rock influenced by ’70s glam and psychadelia that swirls with pop-sensibilities and a Beatles harmony influence. The band even takes time to provide some Aerosmith worship with “Huckleberry Crumble” (seriously, Aerosmith should sue these guys!) and “First Kiss On Mars” is a song that would make David Bowie proud. Is it me or does anyone else think of the 1960s Batman show when Weiland sings “bagman” on “Bagman”? It must be some kind of joke, the delivery just sounds too similar! If there’s anything I can say that would be a negative for this album is that it’s a bit soft and laid back but that’s not really a surprise because Weiland seemingly had more control over the second Velvet Revolver album and much to Slash’s chagrin it was a softer and lighter album than their debut. There are a few solid rockers here though like “Between the Lines” (a song in the classic STP style), “Take A Load Off”, “Huckleberry Crumble” and “Hazy Daze”. These songs are very good but still nothing comes close to their best and most aggressive songs of the past. Don’t get me wrong, this is an awesome release, one of the best I’ve heard in 2010 and it’s great to have STP back. I went to Walmart to pick this up and would you believe they didn’t have it? I’m not sure if they sold out or what (I went to pick it up the weekend after it was released) but this is a pretty major release so I would have thought there’d be at least a few copies lying around. I ended up ordering this from Best Buy’s website (free shipping!) and got the limited deluxe edition that includes “Samba Nova” (a b-side to the “Between the Lines” single), three live tracks and a mini-fold out poster with the album cover on one side and a band photo on the other. The live tracks are listed as being recorded in Chicago but the location and date is not mentioned though I assume there were at least recorded sometime in 2010. If you know me, or have read this blog for a period of time, you know I’m not a big fan of alternative & grunge music. That whole scene made it a crime to actually have FUN with your rock, but even so, a very select few bands slipped through and rose above it all to create some great music. 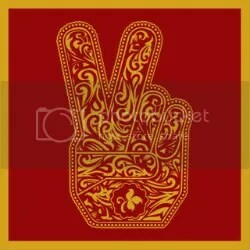 Stone Temple Pilots was one of those bands and they are easily one of my favorite bands of all-time and certainly my favorite alternative act. This debut album is a classic hard r0ck release, regardless of genre. Tons of songs were and still are radio staples, but it’s actually quite different, being heavier than the later STP albums that blended hard rock with pop and psychadelia. 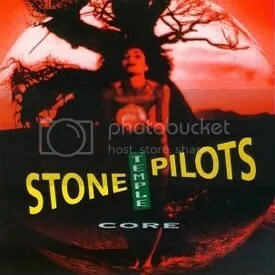 Although I consider STP to be “alternative” and not “grunge”, the grunge sound is quite strong on this album with Pearl Jam and especially Alice In Chains influencing the sound. Great release, and the band would only get better as time went on. In addition to producing the next three STP albums, Brendan O’Brien has gone on to become very in-demand having produced albums for Pearl Jam, Papa Roach, AC/DC, Bruce Springsteen, Korn, Velvet Revolver, My Chemical Romance, The Offspring, Incubus, Aerosmith and Audioslave.